Living with frizzy hair could be quite frustrating. It is a daily challenge for some while it is an occasional peeve for others. Many of us chalk up frizzy hair to our hair’s natural texture. However, frizzy hair can be reduced and even eliminated if some conscious effort is put into it. The main cause of frizzy hair is inadequate moisture in the hair cuticles of the hair strands. Other factors that could contribute to frizzy hair include; swimming in chlorinated water, use of harsh hair products, extremely dry weather, and excessive use of blow dryer. Avoid washing hair with hot water. Use cold or lukewarm water instead. Reduce the frequency of heat styling your hair. Heat tends to damage hair and hair cuticle. Use satin pillow covers instead of cotton pillow covers as cotton pillow covers tend to absorb moisture from the hair. Avoid using shampoos that contain sulfates. These shampoos tend to strip the hair of its moisture. Do not shampoo your hair more than three times in a week. Avoid towel drying your hair. Towel drying tends to cause the hair cuticle to rise and increases the likelihood of hair breakage. Bananas contain healthy oils that can make your hair soft and shinier while yogurt is rich in lactic acid which helps to strengthen your hair. Both have a zinc component which promotes better blood circulation to the scalp. To tame the frizz, mash a ripe banana in a bowl and then add three tablespoons of olive oil. Spread on the hair and cover with a plastic bag for one hour. After that, rinse well and apply your favorite hair conditioner. Beer has been used for centuries as a regimen for frizzy hair. Beer is rich in vitamins, proteins and natural barley which help to develop a healthy hair. While you may not like the smell, beer is loaded with antioxidants and essential amino acids. To use this remedy, apply some beer in your hair, leave it for thirty minutes and then rinse with plain water. Repeat the process once in every two weeks. Surprisingly, darker beers give the best results. The astringent nature of ACV does wonders to frizzy hair by giving the hair a healthy shine. To use this remedy, reduce the acidity of apple cider vinegar by mixing it with an equal amount of water. Use it as the final rinse once you are done shampooing your hair. Alternatively, you can apply the diluted solution on the hair and then comb to distribute the solution. If you don’t like the smell of the vinegar, you can dilute with more water. Coconut milk has penetrative properties that condition your hair. Plus, coconut milk is rich vitamin E which fights free radicals and moisturizes the hair. You can either buy coconut milk at your local grocery store or pulverize coconut to get the milk. Just warm two tablespoons of coconut milk, apply it on your hair and leave it overnight. In the morning, wash the hair with a shampoo and pat dry. Repeat the procedure two times a week to enjoy a smooth, shiny hair. You could also use coconut oil for the same result. When you mix olive oil with avocado, it works as a natural conditioner. Both have amazing hydrating benefits, not to mention they contain fatty acids which help to smoothen the frizziness. For this remedy to work, mash an avocado in a bowl and then add a few drops of olive oil. Rub the mixture on your hair and let it sit for twenty minutes before washing it off. After that, condition the hair to get rid of the avocado scent. Carbonated water is one of the most effective options for treating frizzy hair at home. Ideally, carbonated water has low pH which helps to calm frizzy hair. To soothe and tame the frizz, shampoo your hair and then rinse with carbonated water. Repeat this every time you condition your hair to keep frizziness at bay. When you mix honey and lemon, you give your hair the right nourishment. Both honey and lemon have been used for centuries thanks to their unmatched moisturizing properties. 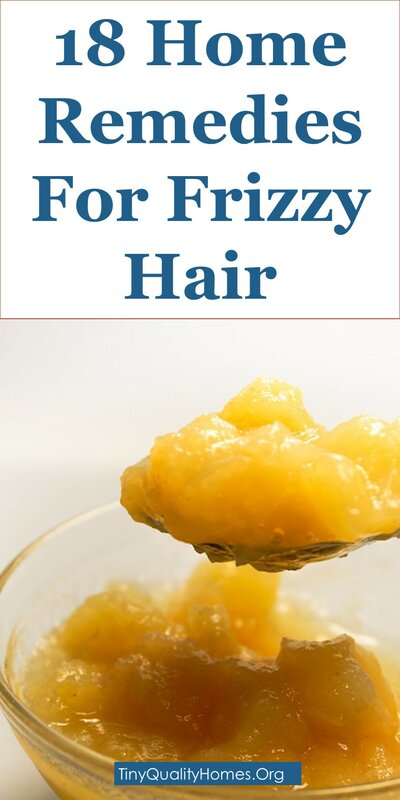 To get rid of frizz, mix one tablespoon of fresh lemon with two tablespoons of honey. Spread the mixture on your hair, leave it for twenty minutes and then wash off with shampoo. Make sure the mixture does not get on your scalp. Mayonnaise contains essential ingredients commonly used in hair treatments. It has vinegar, egg yolk, and amino acids which promotes healthy hair growth. To treat frizzy hair, pour some mayonnaise into a bowl and then add one tablespoon of lemon juice. Whisk the ingredients together and rub the mixture on damp hair. Cover the hair with a shower cap for 10 to 15 minutes and rinse with cold water thereafter. This is one of the most effective home remedies for frizz. Both work as a natural conditioner thanks to their high protein content. Simply mix one egg with almond oil until you obtain a smooth mixture. Apply it starting from the scalp all through the length of your hair. Leave this mixture on hair for about 15 minutes. Then wash off with a shampoo that is free from sulfates. Apply this mixture once a week. Apart from its moisturizing properties, aloe vera forms a protective layer that minimizes moisture loss. Plus, it makes your hair smooth and shiny. 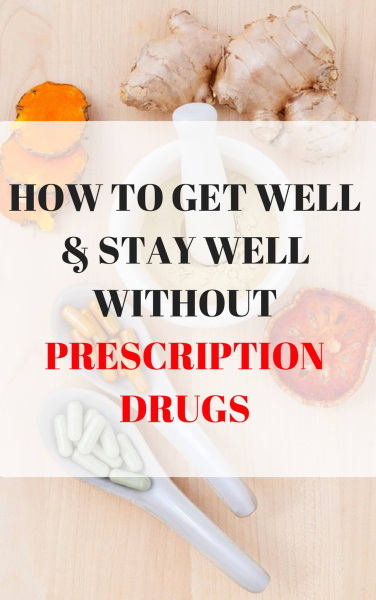 It works best when combined with other natural home remedies or ingredients. With this in mind, you should mix natural aloe vera gel with other carrier oils, such as olive oil or coconut oil. Rub the mixture on your hair and leave it for twenty minutes. Clean with lukewarm water and apply your favorite conditioner thereafter. Use this aloe vera mask once a week. Unlike most chemical-based hair care products in the market, mustard oil is packed with nutrients that can treat frizzy hair. Also, a warm mustard oil massage will eliminate any hair fall problems. For this remedy, apply the warm mustard oil on your hair, massage for twenty minutes and then condition your hair. While you can use other types of oils, each carries its unique properties. Rinsing with black tea is a terrific way of giving your hair a natural shine. Other than that, black tea will enhance the color of your hair. Ideally, brunettes should apply black tea while blonds should use chamomile tea. To get rid of frizzy hair, rinse your hair with warm, unsweetened tea after you’ve done your regular shampoo. It’s crucial that you give your hair a few minutes to absorb the benefits of the tea before drying it. Gelatin contains keratin that bond with your hair to strengthen it. Also, gelatin nourishes every strand and adheres well to damaged areas. In addition to that, gelatin makes your hair shiny and smoothens the hair cuticle. Just dissolve one tablespoon of gelatin in a glass of water, add apple cider vinegar and a few drops of essential oil. Follow this simple remedy once a week for a super shiny hair. Shea butter will keep your hair smooth and soft. To get rid of fizzy hair, rub your hair with some shea butter, cover with a shower cap for one hour and then rinse with warm water. Use the remedy once a week for a glossy shine. Omega-3 fatty acid strengthens your hair and keeps your hair moisturized. Since our bodies cannot synthesize these essential acids, you can obtain it in your diet or supplements. For a smooth, shiny hair, supplements and oils that are rich in omega-3 fatty acids, such as flaxseed oil, primrose oil, and borage oil, should be taken orally or applied to hair topically. Sandalwood oil contains anti-inflammatory properties that soothe your skin, scalp, and hair. Simply rub a few drops of sandalwood oil between your palms and apply through the ends of your hair. While sandalwood might be more expensive than other essential oils, it gives lasting results. To make this remedy more effective, you can blend sandalwood with other oils like bergamot oil and lavender oil. A healthy hair is a reflection of a healthy body. Your hair health will depend on the amount of water you put into your body. Since one of the main causes of frizzy hair is lack of moisture, you should drink a lot of water on a regular basis. This would not only keep your cells hydrated but also help the skin, scalp, and hair look smooth. Eggs contain proteins, fats and other nutrients that can moisturize the hair. Eggs also have enzymes which kill harmful bacteria. On the other hand, olive oil works as an emollient by locking the moisture into your hair. To make this potent remedy, crack an egg into a bowl and then mix with one tablespoon of olive oil. Apply the mixture and let it sit for thirty minutes. Then, rinse off with warm water.